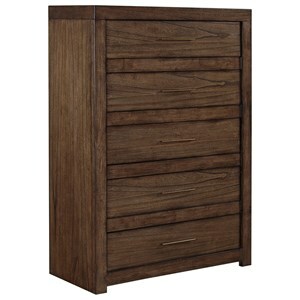 Give your kid plenty of storage for their clothes with this 5 Drawer Chest. 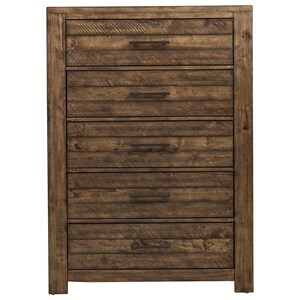 The piece is bathed in an Ash Brown finish that is both contemporary and easily matched with. 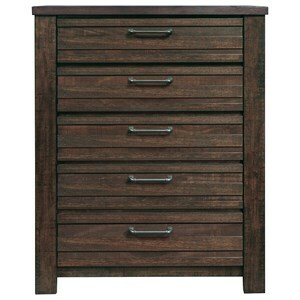 The Granite Falls Contemporary 5 Drawer Chest in Ash Brown by Samuel Lawrence at Godby Home Furnishings in the Noblesville, Carmel, Avon, Indianapolis, Indiana area. Product availability may vary. Contact us for the most current availability on this product. 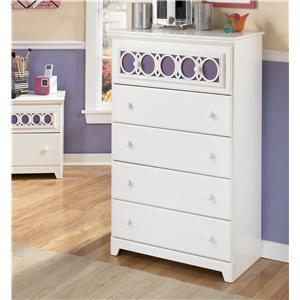 Cool, contemporary and also casual, your child will love this bedroom set. Choose between a more standard panel headboard or more functional bookcase one. Furthermore, this collection also includes work space options, like a desk with USB, hutch and desk chair. The Granite Falls collection is a great option if you are looking for Contemporary Casual furniture in the Noblesville, Carmel, Avon, Indianapolis, Indiana area. Browse other items in the Granite Falls collection from Godby Home Furnishings in the Noblesville, Carmel, Avon, Indianapolis, Indiana area.